Sometimes a key can get worn down, especially after being used for a long time. 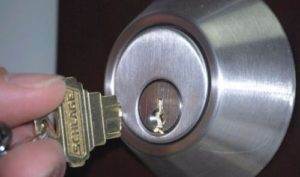 If a key breaks inside of your lock, calling a locksmith in Spokane would be your best option. This is something that should be considered as well when your key breaks inside the ignition of your vehicle. If your key is broke inside of a lock, you may need to replace the entire lock. If it’s a broken car key in the ignition, you may need a new ignition. This is why it is extremely important to have a professional locksmith perform an extraction type service for you. As the Spokane locksmith is performing the extraction service, he or she will be carefully and patiently utilizing a special extraction tool. 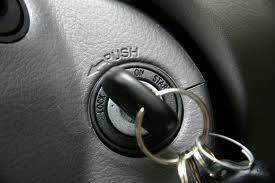 If it isn’t possible to retrieve the key from within the lock or from the ignition, than a replacement lock or ignition is going to be necessary. This is a service a professional locksmith would be able to provide, even on the same day. It is not uncommon for a key to break. Most often you will be able to notice if one of your keys are about to break. Keep yourself aware of whether or not your keys have odd looking cuts or grooves. These cuts are weak points on your bow or blade and they signify that you will need a key replacement very soon. You can help prevent your keys from breaking by not putting too much pressure on them when turning your lock and by using WD-40 inside of your locks once year to ensure proper lubrication for the key. Additionally, a locksmith will be able to provide you with a new key to replace the one that broke. You can get everything solved at the same time! When you contact a professional locksmith, an address for the service would need to be provided along with a phone number where you can be reached. A locksmith in Spokane will be able provide same day service for most key extraction services.